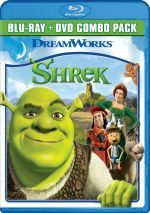 Though DreamWorks created their first animated films back in 1998 with Antz and The Prince of Egypt, they didn’t score a true hit until 2001’s Shrek. That one established the studio as Disney’s first real competitor and launched a massively successful franchise. Amidst a crowded summer 2001 release schedule, the movie went on to establish itself as that season’s biggest hit, and it ended up in third place for the year. Only the first chapters in the Harry Potter and Lord of the Rings franchises produced better box office receipts. In addition to all of its financial success, Shrek nabbed many glowing reviews, and when I saw it theatrically, I expected to embrace it as well. After all, I love animation, and the film’s irreverent attitude looked like it’d be a lot of fun. However, I must admit that Shrek didn’t do a lot for me during that initial screening. The humor seemed a bit forced, and I simply didn’t feel that anything about it was very special. Obviously audiences disagreed, but I really couldn’t understand what all the fuss was about. Would my attitude change after subsequent viewings? Unfortunately, no. While Shrek consistently offers a moderately entertaining experience, I think it almost never rises above that level, as it seems like a fairly average piece. At the start of Shrek, we quickly meet the title character, an ogre (voiced by Mike Myers) who appears happy to terrify countryfolk and live his solitary existence. However, early in the movie he finds his swamp overrun with fairy tale characters. Monomaniacal Lord Farquaad (John Lithgow) has deported all of them from his “perfect” realm of DuLoc, but Shrek is none too happy to have his territory invaded by the likes of Pinocchio, the Big Bad Wolf, and the Three Little Pigs. A talking donkey conveniently named Donkey (Eddie Murphy) quickly attempts to strike up a friendship with Shrek, but the ogre resists the critter’s charms. However, Shrek needs to go to DuLoc to confront Farquaad, and since Donkey’s the only fairytale creature who claims to know the way, our ogre gets stuck with him. Once they arrive in DuLoc, they find that Farquaad has staged a tournament. He needs to marry a princess to make his realm an actual kingdom, and he’s decided to nab lovely Princess Fiona (Cameron Diaz), a maiden imprisoned in a tower guarded by a dragon. Farquaad’s too much of a coward to do it himself, so he wants a knight to fetch her for him. When Shrek wanders into this contest, he easily handles the amassed warriors, and Farquaad makes a deal: if Shrek rescues Fiona, the Lord will clear the swamp and Shrek can return to his old life. Grudgingly, Shrek embarks on this quest, and after much struggle, he does free the Princess. Their relationship starts in a cantankerous manner, for she’s upset to be freed by an ogre. Fiona suffers from a mysterious curse, and the only way for her to escape it is to receive true love’s first kiss. Clearly she requires a real prince or someone similar, not a sour ogre. That’s part of the problem with Shrek. 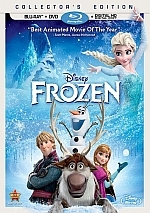 The film tries desperately to take the piss out of standard fairy tales and typical animated features. However, although it works frantically to be wicked and irreverent, it also wants to have its cake and eat it too. This means Shrek attempts to spoof and mock the genre, but then it turns around and gives us many of the form’s most tired conventions. Yes, the ending does include a twist, but it’s a mild one, and the movie generally stays with the standard elements; I really feel that the story provides little to make it stand out from the crowd. Actually, Shrek starts fairly well, especially in regard to the spoofing of other fairy tales. The first act offers easily the most compelling part of the movie, though even the most irreverent moments didn’t do a lot for me. The idea of the mockery seems funnier than the reality, partially because I think Shrek feels a little too eager to be crude. Is any of this material really nasty? No, not by a long shot; it seems fairly tame compared to many movies these days. However, it does feel unnecessary. Some of the humor in Antz struck me in the same manner; it appeared to exist just for the sake of being “adult”. I don’t see the point of this, and it comes across as vaguely odd and inappropriate. However, that’s not my main problem with Shrek. Actually, I don’t know if I have a “main problem” with the film, as I find it hard to point out any significant flaws. The animation seems more than competent for its era. Shrek is an attractive movie that shows nicely executed work, even if it looks dated more than a decade later. Unfortunately, I simply feel the film lacks much spark or personality. None of the characters mean anything to me. Shrek never becomes endearing or likeable, and Donkey is a bland nuisance at best. Fiona is also drab and without much flair. Farquaad is the most compelling character, but he receives little screen time. The vaunted humor leaves me cold as well. Shrek provides a snicker or two, but I think the majority of the gags seem surprisingly lackluster. Overall, Shrek does provide a generally watchable affair, but I never can get into it, no matter how badly I want to enjoy the movie. It’s not a poor flick, and on the surface, it seems to have the appropriate components to be a terrific experience. Unfortunately, I think it falls flat much of the time. It tries frantically to be creative and witty, but it just seems like more of the same and I don’t discern much inspiration in it. Shrek appears in an aspect ratio of approximately 1.85:1 on this Blu-ray Disc. Shrek provided a positive visual experience. Sharpness seemed solid. A few shots looked a smidgen soft, though I wondered if some of that came from the drawbacks of the now-semi-primitive animation. Whatever the case, overall definition appeared very good. No signs of jagged edges, moiré effects or edge enhancement appeared, and the movie also was totally free of any source flaws. The fairytale setting of Shrek offered a nicely bright and varied palette, and the disc reproduced the colors well. From the cartoonier tones to more natural and lifelike hues, the colors always came across as vivid and lively. Black levels also seemed deep and rich, while shadow detail looked appropriately heavy but not overly dense. In the end, Shrek provided a clear and vibrant visual presentation. Shrek provided a Dolby TrueHD 7.1 soundfield with a fairly forward emphasis. The front spectrum offered nice separation and presence for the music. Effects displayed reasonably good atmosphere, but they usually didn’t go much beyond that. At times I heard good movement across the front, such as the guy in the Farquaad costume who ran from Shrek and Donkey, and a few other instances provided decent directionality. Nonetheless, the front field usually stuck with general ambience. The surround channels functioned in a similar manner. They provided reinforcement of the music and effects and didn’t add many distinct elements. On a few occasions, I heard some isolated activity from the rear, and some split surround usage occurred as well, such as elements related to the dragon. However, the rear speakers usually played a fairly minor role during the film; they weren’t terribly active participants, though I thought they seemed satisfactory. Audio quality was generally solid. Dialogue consistently appeared natural and distinct, as I heard no concerns related to intelligibility or edginess. Music provided pretty good dynamics and depth. Effects were clean and accurate for the most part, though I thought they lacked great warmth. Bass response seemed a little flat, as some elements - like the stomp of the dragon - lacked much force. Overall, the soundtrack remained perfectly acceptable for the film, but it didn’t do anything to stand out from the crowd. How did this Blu-ray compare to the original DVD from 2001? Audio was a little broader and warmer, while visuals were tighter and more dynamic, with stronger colors and blacks. I expected improvements and got them. 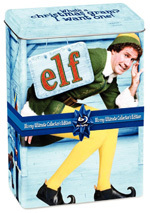 The Blu-ray offers old and new extras. First up is an audio commentary from producer Aron Warner and directors Vicky Jenson and Andrew Adamson. All three were recorded together for this running, screen-specific piece. Overall, I like the track, though it can be fairly erratic. The first half of the commentary offers the strongest information. The three participants provide a wealth of solid information about the film, from animation problems and details to story development to alterations made along the way. They seem peppy and involved in the process as they add lots of useful tidbits in an engaging and entertaining manner. Unfortunately, the commentary starts to run out of steam about halfway through the film. After the 45-minute mark, valuable remarks pop up less frequently, and the participants spend more of their time simply watching and enjoying the movie. A lot of their statements relate to their appreciation of the film, and Jenson especially comes across like a cheerleader at times. The second half of the commentary still provides some good details, and even during the less informative spots, it remains reasonably entertaining. However, you’ll encounter the most compelling data during the movie’s first half. Two “Blu-ray exclusives” follow. The Animators’ Corner offers picture-in-picture elements that show behind the scenes footage, storyboards, and interviews. We hear from Adamson, Warner, Jenson, DreamWorks CEO Jeffrey Katzenberg, visual effects supervisor Ken Bielenberg, production designer James Hegedus, supervising animator Raman Hui, art director Guillaume Aretos, actors Mike Myers, Eddie Murphy, John Lithgow, and Cameron Diaz.and other crewmembers. Why don’t I credit them? Because the stupid Blu-ray doesn’t do so; it never lists any names, so if I didn’t recognize a participant or figure out their names via context, I couldn’t identify them. “Corner” covers story/character topics, cast, performances and inspirations, music and visual design, animation and technical areas, and some general issues. “Corner” acts as a nice complement to the commentary, as it discusses a good array of areas. It manages to fill most of the film – only a few gaps here! – and provides an enjoyable picture-in-picture track. Shrek’s Interactive Journey: I acts as a form of still gallery. It lets you choose from five movie locations and see concept art created for those spots. It’s not the most intuitive way to view these images, but I like the content. Three Deleted Scenes run a total of eight minutes, one second. We see “Fiona’s Prologue” (2:55), “The Deal” (2:41), and “Fiona Gets Them Lost” (2:25). These come to us as “storyboard pitches”; this means we see storyboards while an animator voice-acts them for us. I think the first two are interesting but nothing special; the movie doesn’t suffer for their omission. On the other hand, “Lost” is a lot of fun. I don’t know how well it would have integrated with the film, but I like it and wish it had been completed. In any case, I like this look at the unused footage. Two featurettes appear. Spotlight on Donkey runs 11 minutes, 38 seconds and delivers comments from Warner, Adamson, Jenson, Katzenberg, Myers, Murphy, Bielenberg, director Mike Mitchell, producer Teresa Cheng, and actors Antonio Banderas, and Walt Dohrn. “Spotlight” looks at the character’s development and design as well as Murphys’s casting and performance. The program gives us a decent but somewhat fluffy look at Donkey. Next comes Secrets of Shrek 2, a three-minute, 52-second piece. It identifies cameos and movie details that otherwise might go unnoticed. It’s a fun little bonus. “Shrek, Rattle & Roll” adds two music videos. We find “I’m a Believer” from Smash Mouth and “Best Years Of Our Lives” from Baha Men. The first one combines a lip-synch performance by the band with a minor plot in which lead singer Steve Harwell pursues his dream girl. Shrek clips are integrated in a clever and smooth manner, and it’s a decent little video with a funny ending. The Baha Men clip is much less interesting. It combines an annoying lip-synched performance alongside some dancing babes with the standard movie snippets. The song itself’s a bland and inane piece of dreck. Ugh! Within “Rattle”, we also find “What’s Up Duloc?” from Shrek: The Musical. It doesn’t make me want to see the show. For material from other films, we can move to the DreamWorks Animation Video Jukebox. This allows you to watch clips from Bee Movie, How to Train Your Dragon, Shrek, Kung Fu Panda, Madagascar and Over the Hedge. This lets us hear some musical numbers from the films. It feels like advertising to me, honestly, as it serves little real purpose. The disc opens with ads for Megamind and Kung Fu Panda 2. These also appear under Previews along with clips for The Penguins of Madagascar No trailer for Shrek shows up here., the Kung Fu Panda World game, and Shrek: The Musical. After a few viewings of Shrek, I still can’t understand the fuss the film received. While it has some reasonably fun moments, I feel it seems lackluster. The Blu-ray provides excellent visuals, generally good audio and a small but informative set of supplements. I’m not wild about Shrek, but its many fans should feel pleased with this disc.